A walker was rescued from a Lake District fell after injuring herself in a slip. 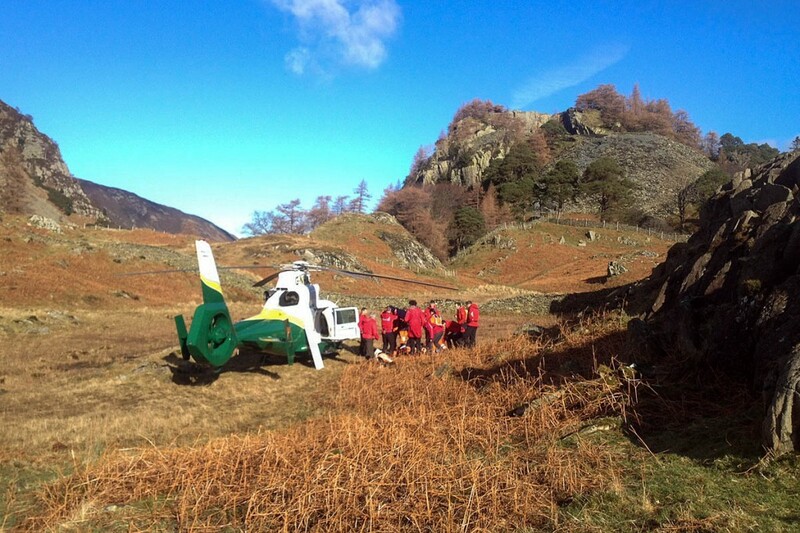 The 62-year-old was walking on Castle Crag in Borrowdale when she suffered a bad ankle injury. Keswick Mountain Rescue Team was called out today, Wednesday, and the Great North Air Ambulance Service’s Pride of Cumbria helicopter flew to the site from its base near Penrith. She was treated at the scene by team members and assessed by the air ambulance crew before being airlifted to Cumberland Infirmary, Carlisle, for further treatment. Her condition was described as stable when she arrived.